Ten Speed Press, 9780399578809, 192pp. the Philadelphia Inquirer, Utne Reader, Salon, Okey-Panky, the Southern Review, the Georgia Review, and the Los Angeles Review of Books. Moore is founder and editor of Brevity and is a frequent speaker and teacher at writers' conferences. ". . .for anyone who has been ­writing for a while but feels stuck." "Professor and veteran writer Moore delivers a clear, compact writing guide. . . . few guides are as tight, thorough, and engaging as this one. . . . In a field littered with gimmicky advice, this strong, lean title stands out." ". . . a handbook for writers who have encountered artistic ailments such as writer’s block, character anemia, flat plot, and silent voice. Moore’s signature wit and wisdom are once again on display in this useful guide for writers of all levels of experience." "Writing a novel is a daunting task, a labyrinth filled with thorny obstacles of all kinds. 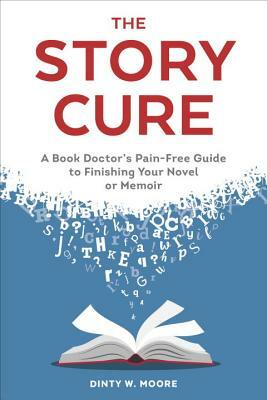 The Story Cure provides tonics for many of the ailments that can plague a novel, but most importantly, it probes the key part of any creative endeavor: the heart of the story." "[A] witty and disarming new book. . . . he sneaks in answers so we are left with a touch of wisdom as well as laughter." "Moore at his best. It’s witty but also substantial, and the conversations between Moore and his interlocutors get to the heart of what makes the essay such a compelling form: its capacity to render, on the page, the human experience." "Dear Mister Essay Writer Guy is an enjoyable read . . . Its witty, modest tone belies the artistry of the essays contained, which are exemplars of the short form."